Last month I read a really interesting blog post by Laila from Tape Parade. Let’s Stop Eating Off The Vegan Menu is about supporting your local vegan and vegetarian restaurants by not only visiting them, but telling other people about them too. As Laila points out, chain restaurants are all very well and good — especially in areas where choice is limited — but we need to support local independent businesses too. 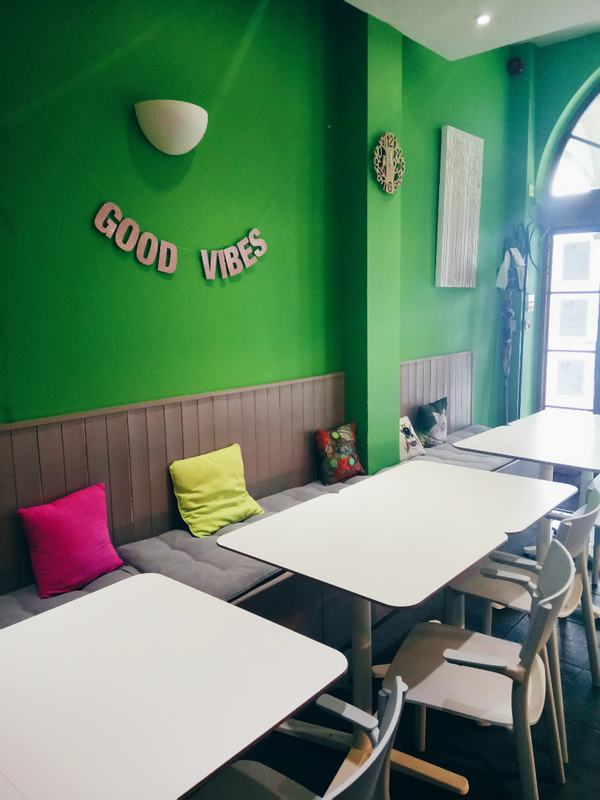 With these words weighing on my mind, I decided to visit The Veg Box Cafe and then write about it afterwards. Best. Decision. Ever. All the food at The Veg Box is made from scratch using seasonal ingredients and local, organic, fair trade produce. They cater for vegetarians, vegans, and celiacs, and try to be as environmentally friendly as possible. 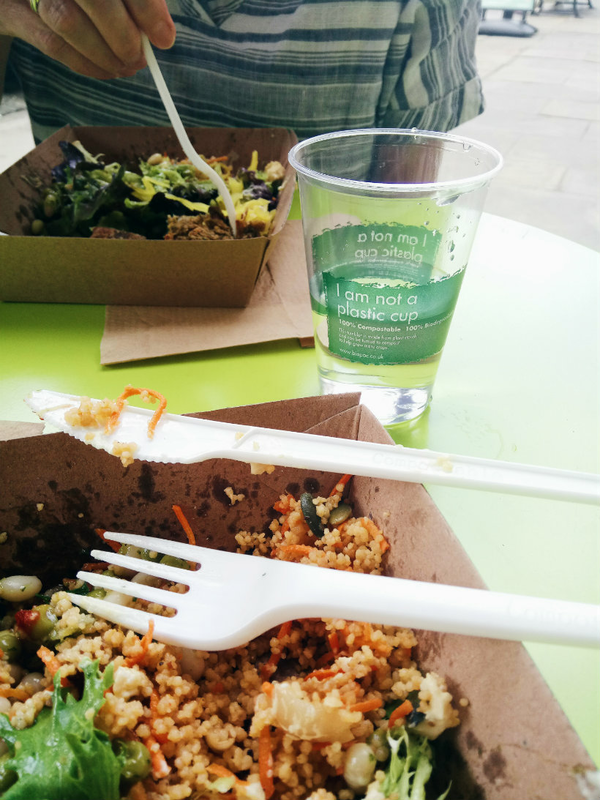 The cups look like plastic but are made from compostable, biodegradable plant starch and the cutlery is compostable too. Everything that could be reused and recycled was — my kind of place. What I love about this type of food, apart from how tasty it is, is that I always feel satisfied afterwards but never uncomfortably full. 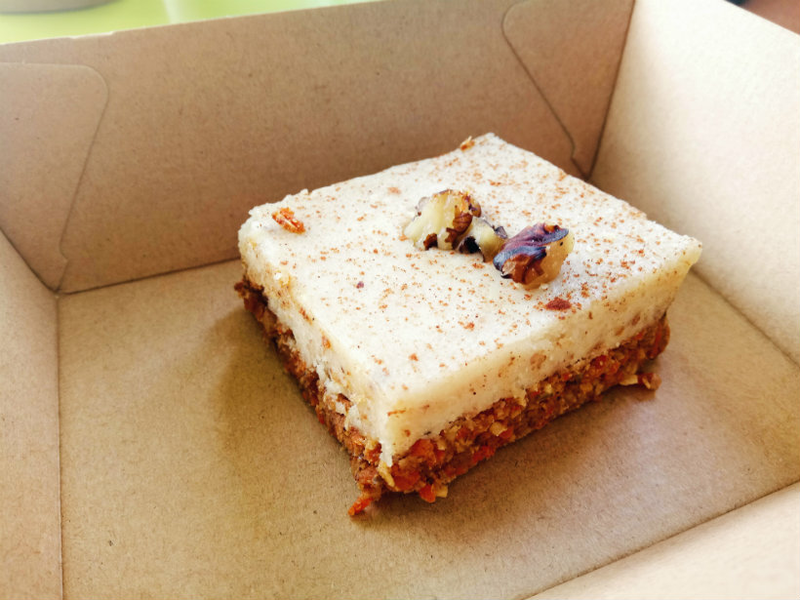 We couldn’t quite manage a whole dessert but we did split a square of raw carrot cake. Raw desserts don’t often do it for me but this one was lush — a dense base with plenty of carrot and a creamy topping which reminded me a little bit of cheesecake (except is was dairy-free). The friendly woman behind the counter admitted she normally has a smaller portion for her main so she can eat dessert as well and I like this way of thinking. Something to remember for next time! And there will definitely be a next time. 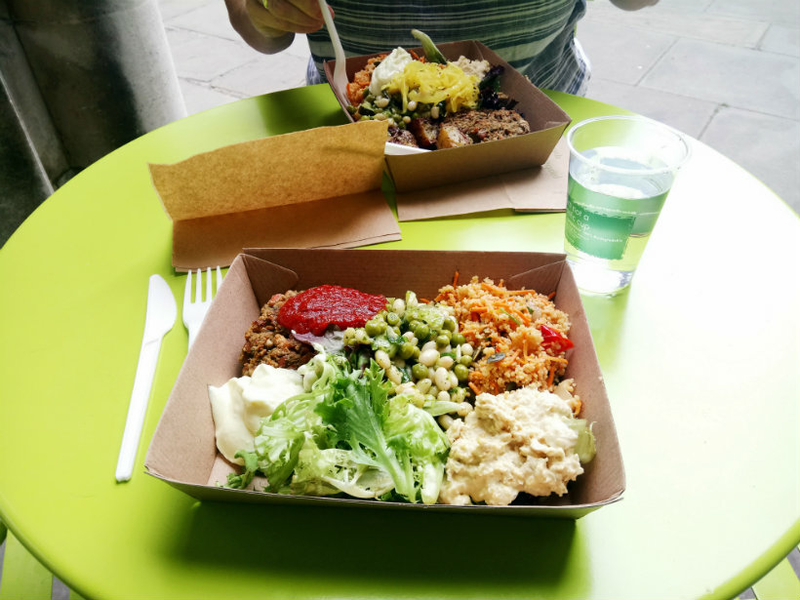 The Veg Box is the perfect place to enjoy delicious plant-based food and indulge in a spot of people-watching. Well, I say people-watching but I was mainly focusing on all the dogs passing by. Have you found any vegetarian or vegan eateries near you? What would be on your ideal plant-based menu? Let me know in the comments!